Sometimes you need an extra bed for a loft or for the spare bedroom in your home, but a real bed can be overkill for a room that will be unused for most of the year. 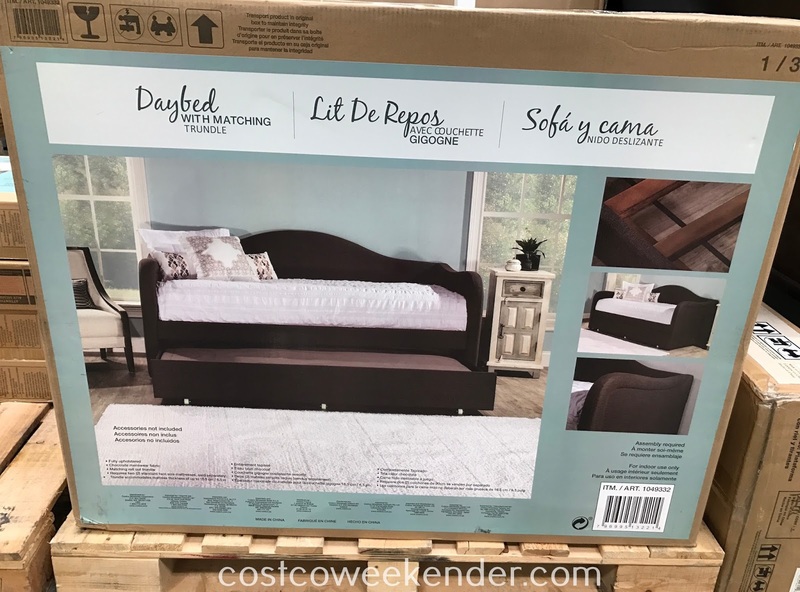 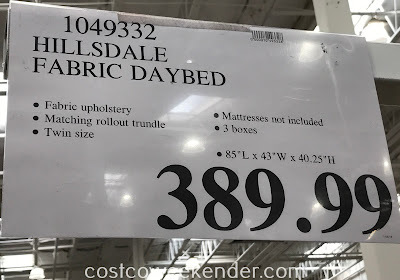 That's why it makes sense just to get the Hillsdale Fabric Daybed with Matching Trundle from Costco. 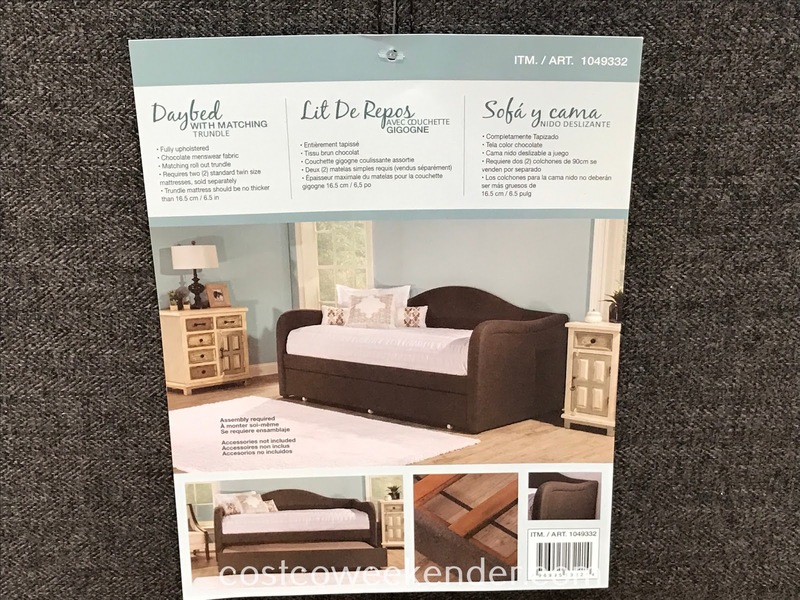 The Hillsdale Fabric Daybed can act as both a sofa and bed for any guestroom. 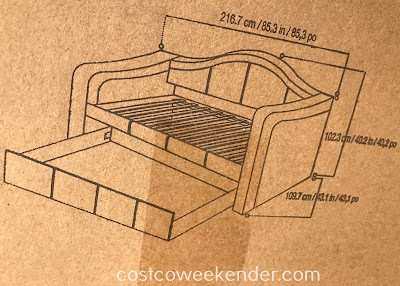 Not only that, but the trundle underneath the bed can further accommodate another person without taking up anymore space. 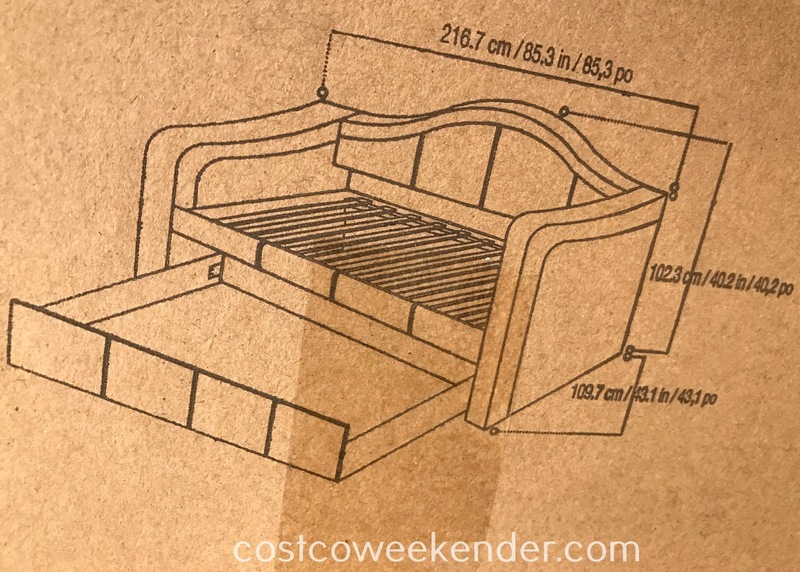 It easily rolls right out and right in for ease of use. 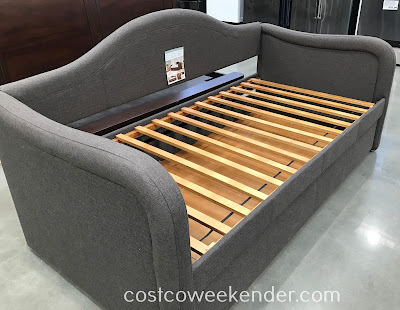 The trundle comes in handy if your kids have sleepovers or you have out of town guests visiting for the holidays. Definitely consider the Hillsdale Fabric Daybed with Matching Trundle which may be good enough for your guestroom.